Dr. Rick Sacra, a missionary who contracted Ebola in Liberia this August, was first treated there. Each nurse on the ward cared for 15 or 20 patients, and none could work for more than an hour at a time because the protective gear was so suffocatingly hot. They never drew his blood for lab tests. There was no lab. After he was evacuated to Nebraska Medical Center, a nurse stayed in his room all the time, and dozens of people were involved in his care. He had daily blood tests to monitor his electrolytes, blood count, liver and kidneys, and doctors used the results to adjust what went into his intravenous lines. The stark difference in the care available in West Africa and the United States is reflected in the outcomes, as well. In West Africa, 70 percent of people with Ebola are dying, while seven of the first eight Ebola patients treated in the United States have walked out of the hospital in good health. Only one died: Thomas Eric Duncan, a Liberian, whose treatment was delayed when a Dallas hospital initially misdiagnosed his illness.The survival gap can and should be narrowed, experts say, and they agreed that the single most important missing element is enough trained health workers to provide the kind of meticulous intensive care that saved Dr. Sacra and the others treated here. West Africa is starved of doctors, nurses, hospitals and equipment, so more outside help is urgently needed, they said. 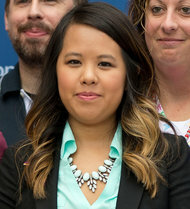 Former Ebola patient Nina Pham, a nurse who was infected while treating an Ebola patient in Dallas. Doctors say the key to surviving Ebola, and what has saved the patients in the United States, has been a higher level of “supportive care” to treat deadly symptoms like severe fluid loss and organ failure. That means the patients received intravenous fluids and salts to replace what they lost through vomiting and diarrhea, a fluid loss that can reach five to 10 quarts a day during the worst phase of the disease. Without the fluids, blood pressure can crash, and the patient can quickly go into shock and die. Most of the patients in the United States also received experimental drugs or plasma transfusions, but doctors say rehydration played a major role in saving them. 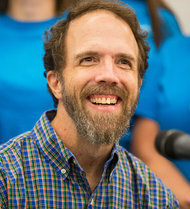 Dr. Rick Sacra, a missionary who was infected with Ebola in Liberia. Dr. Bausch and Dr. Pierre Rollin of the Centers for Disease Control and Prevention, both veterans of multiple Ebola outbreaks, said they could not be sure yet, but thought this new strain of Ebola was causing more severe and copious diarrhea than earlier strains, increasing the need to monitor and replace fluids and electrolytes. Dr. Bruce S. Ribner, who directed the care of patients evacuated to Emory University Hospital in Atlanta, said his medical team was surprised at the amount of fluid and potassium lost, and alerted doctors at treatment centers in Africa that patients there might need more replenishment than expected. 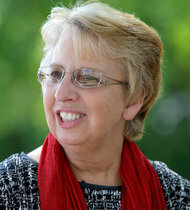 Nancy Writebol, who contracted the virus while doing missionary work in Liberia. Ebola wards need an unusually high level of staffing, Dr. Sprecher said. Not only does each patient require a lot of care, but the protective gear causes health workers to overheat so quickly and severely, especially in wards that lack air-conditioning in bare-bones facilities, that they cannot work for more than an hour without coming out to cool down. Extra workers are needed so that they can spell each other. Doctors and nurses working in the Ebola zone are disturbed by the limited care they can provide and the high death rates. Indeed, if they become infected, they leave if they can: at least 10 volunteers from developed countries have been flown to Europe or the United States for treatment rather than remain in the West African hospitals where they worked. One volunteer, Dr. Craig Spencer, who returned to the United States from treating Ebola patients in Guinea and fell ill on Oct. 23, is being treated for the virus in New York. Like most of the aid workers treated in the United States, those evacuated to Europe have generally fared better than patients in Africa. Two of three sent to Germany survived, as did one in Britain. Two priests repatriated to Spain died, but a health worker infected while caring for one of them survived. Although the level of intensive care is important, doctors also say it is not the whole story. Dr Ribner suggested that two nurses infected in Dallas may have recovered quickly because they are young, in their 20s. “We know from a lot of data coming out of Africa that younger patients do much better,” he told reporters on Tuesday. He also suggested that the gear they wore, though it obviously did not prevent infection, may have spared them a worse infection by minimizing the amount of the virus to which they were exposed. “The higher the viral load that you get infected with, the more severe your disease is likely to be,” Dr. Ribner said. He also mentioned that some of the sickest patients in the United States were saved by ventilators and kidney dialysis. Those treatments are not available in the field hospitals in West Africa where Ebola is being treated. Dr. Sprecher said that most patients in West Africa were not well nourished, and that Ebola quickly sapped what little reserves they had and then made them too sick to eat. He said Doctors Without Borders was considering different options for feeding. Nasal tubes have failed: Ebola patients tend to rip them out, he said. Intravenous nutrient solutions may be needed, he said, but they are not simple to administer, and the obstacle once again is staffing. He said Doctors Without Borders was also trying to find ways to do the routine monitoring of electrolytes that can help fine-tune treatment for severe fluid loss. At present, the only lab work done on a typical patient is a single test to see whether the person has Ebola. Short-staffed and overwhelmed with severely ill patients, the group has judged that drawing and handling blood posed too much of a risk to its workers from spills or being stuck with needles. In addition, there simply have not been enough medical workers to follow up on those blood tests by doing things like adjusting the electrolyte levels in intravenous fluids. But now, Dr. Sprecher said, the possibility of testing patients’ blood chemistry every other day was being investigated. He said that over all, the death rate was about 60 percent at Doctors Without Borders’ six treatment centers in West Africa, and dropping somewhat. A similar pattern of improving survival has occurred in other Ebola outbreaks, probably because early on, the first patients to seek treatment tend to be the sickest, and many are too far gone to be saved. Gradually, people show up in earlier stages of the disease, when their odds of surviving are higher. Dr. Farmer of Partners in Health said that too often, aid workers in Africa become “socialized to scarcity”— resigned to shortages of help and supplies, and to accepting that there is only so much they can do. He challenged that idea, arguing that the standard of care should be the same everywhere. “Let’s have a medical moon shot,” he said. Alan Blinder contributed reporting from Atlanta, and Donald G. McNeil Jr. from New York.